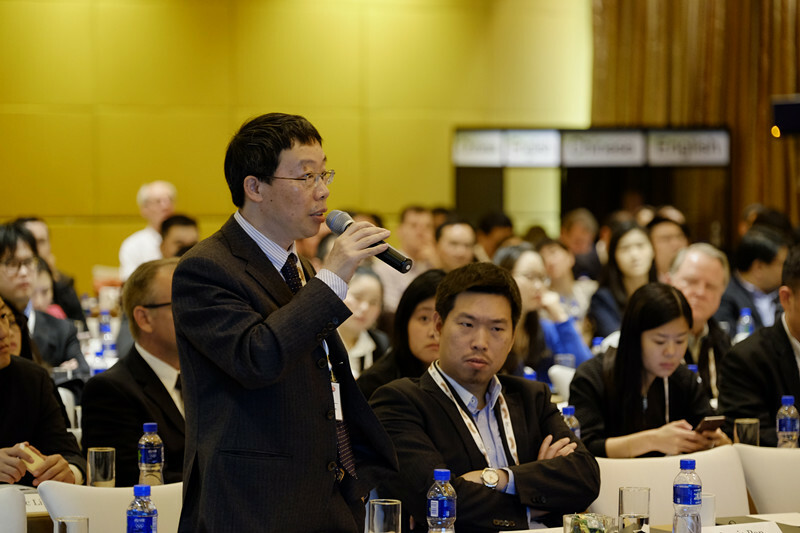 On 26 March 2015, more than 160 Chinese and international fresh produce industry leaders came together at the Westin Hotel in Shanghai to participate in the third annual PMA Fresh Connections China. The 2015 conference continued to build upon previous years’ successes with record attendance, sold-out sponsorships, government delegations from 8 countries, and attendees from 15 countries and regions. The global fresh produce industry is increasingly looking toward China as a market with tremendous demand, future growth potential, and some of the highest import prices in the world. At the same time, a growing number of Chinese retailers, wholesalers, and logistics companies are directly importing from overseas suppliers, while striving to up their games in branding, marketing, packaging, and cold-chain delivery. As a result, mainland China has become a hotbed of competition for trade shows and conferences targeting the fresh produce industry. Since launching the first PMA Fresh Connections: China (FCC) in 2013, PMA has continued to raise the bar and set new standards as the premier industry education and networking event in mainland China. This year, attendees were greeted with opening remarks by Mr. Julian Ventura, Mexican Ambassador to China, and Ms. Valerie Brown-Jones, Director of the USDA Agricultural Trade Office in Shanghai. While the USA has been a major supplier of fresh fruits to China since the 1990s, Mexico has made a splash in the past two years as the first country to achieve market access to China for avocados in 2013, and most recently for raspberries and blackberries in late-2014. Opening remarks were followed by an introduction to China’s market access approval process for fresh produce by Mr. Feng Chunguang, Chairman of the Animal and Plant Division, China Entry-Exit Inspection and Quarantine Association. Mr. Feng explained the approval process, and provided an update on the status of 10 different fruit products for which there are currently 63 applications pending. In addition to these first three speakers, attendees had the chance to network with government representatives from China, USA, Mexico, Peru, Ecuador, Netherlands, Australia, and New Zealand. 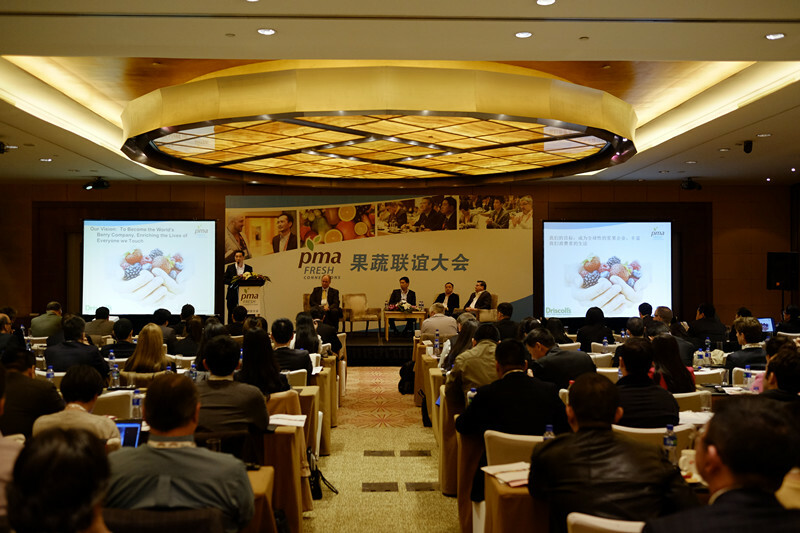 Following the market access session, PMA’s China Consultant, Mabel Zhuang, provided an overview of China’s imported fruit market highlighting key trade figures on countries and products that are leading in fruit exports to China by volume, value, and growth. She also drew upon PMA China market intelligence reports to introduce several industry trends that are shaping the future of China’s fresh fruit trade including fresh e-commerce, free trade zones, and the changing structure of China’s fresh produce supply chain. Focusing on the other side of the fresh produce trade, Mr. John Chapple of Hunter Food Services followed with an introduction to food safety issues and requirements that Chinese exporters need to understand in order to meet the standards of the U.S. FDA’s Food Safety Modernization Act (FSMA). Attendees next heard from two fresh produce packaging gurus in the session entitled ‘Instant Attraction: Why Packaging is your most Important Sales Tool.’ Lisa Cork, Owner of Fresh Produce Marketing Ltd. in New Zealand, shared her packaging development strategy which has won her marketing awards and achieved triple-digit growth for her clients. Next, Jacques Coetzee of NNZ in the Netherlands followed with key insights on evidence-based packaging strategies that have allowed NNZ to achieve successes for dozens of clients on every continent throughout the globe. The final session turned to the more fundamental, yet less immediately visible issue of the fresh produce supply chain and logistics. Entitled ‘The Changing Structure of Fresh Produce Distribution in China,’ this session featured presentations by fresh logistics service and technology leaders from Robinson Fresh, Sensitech, and IFCO. Attendees learned where are the key challenges and bottlenecks in China’s fresh produce supply chain, and management methods and technologies that can be implemented to improve food safety, logistics efficiency, and reduce waste. Between each session, attendees had the chance to network around sponsor tables which included fresh berry tasting by Aneberries, lemon and oranges from Sunkist, and banana samples from Goodfarmer. Other 2015 sponsors included Driscoll’s, Lantao/I Love Produce, Naturipe, Sensitech, Sunkist, Giumarra, NNZ, IFCO, and Produce Report. At the evening reception, attendees enjoyed wine and hors d'oeuvres as they continued to make new connections and follow up on discussions started during earlier networking breaks. The following morning, approximately 30 FCC attendees participated in a market tour to see firsthand how fresh produce enters into and is distributed in China. The tour began with a visit to the Huizhan Imported Fruit Wholesale Market, the second largest market for imported fruits in China. Next, attendees visited the Shanghai Pilot Free Trade Zone to learn from local government officials and representatives from Esen Agro, a major fruit import service provider, how this unique new environment is shaping the future of China’s fruit trade. For the last stop on the tour, attendees crossed the 20-mile Donghai Sea Bridge to visit the Yangshan Deep-Water Port, the busiest cargo port in the world through which approximately 70 percent of Shanghai’s imported fruit enters. For an overview of Fresh Connections: China including educational session, speakers, photos, and this year’s event recap, please visit www.pma.com/fcchina.